Art Therapy is an integrative mental health and human services profession that enriches the lives of individuals, families, and communities through active art-making, creative process, applied psychological theory, and human experience within a psychotherapeutic relationship. 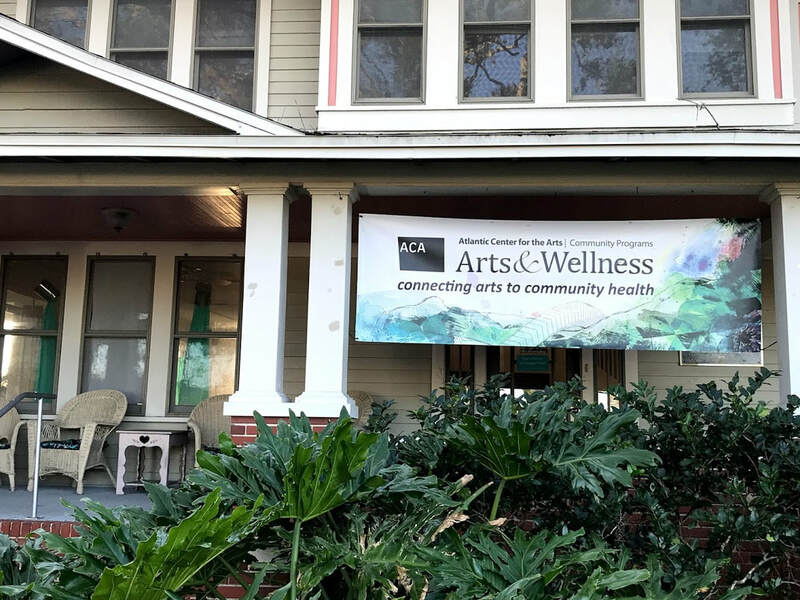 Art Therapy, facilitated by a professional art therapist, effectively supports personal and relational treatment goals as well as community concerns. Art Therapy is used to improve cognitive and sensory-motor functions, foster self-esteem and self-awareness, cultivate emotional resilience, promote insight, enhance social skills, reduce and resolve conflicts and distress, and advance societal and ecological change. For private art therapy, I work with children after school through the use of therapeutic art and goal setting. I also work with adults privately in art therapy. Contact Laura for more information on art therapy. workshops with a mindfulness based expressive arts approach. In December of 2014 I completed my Masters of Art Therapy degree at St. Mary of the Woods College. 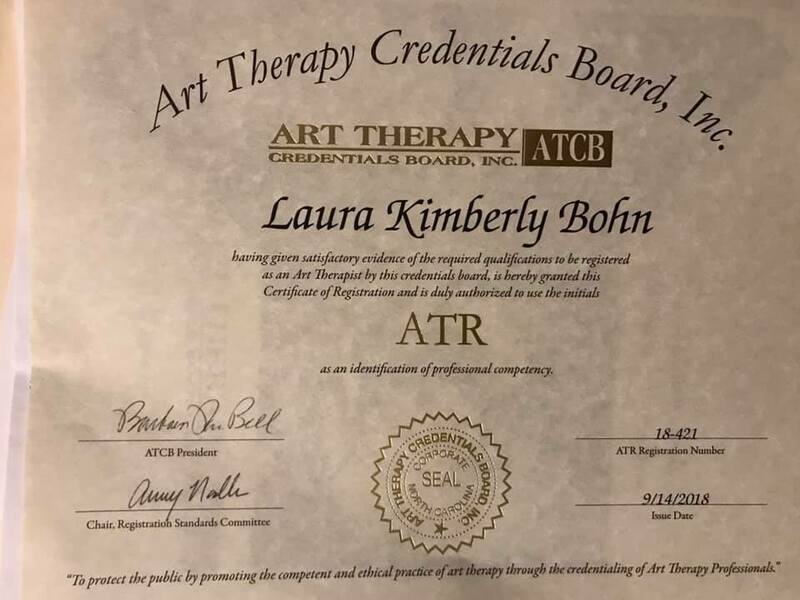 I am now legally able to practice art therapy in the state of Florida and have recently become a registered art therapist (ATR) and have completed 1000 hours of paid work. Art therapists do not interpret your artwork. Art therapists help students, clients and/or patients who to interpret their own artwork. Only the artist can fully express what their art really means. Art therapists are trained in identifying graphic indicators in artwork that can possibly indicate certain issues. The artist is the true revealer of the truth of the issues. 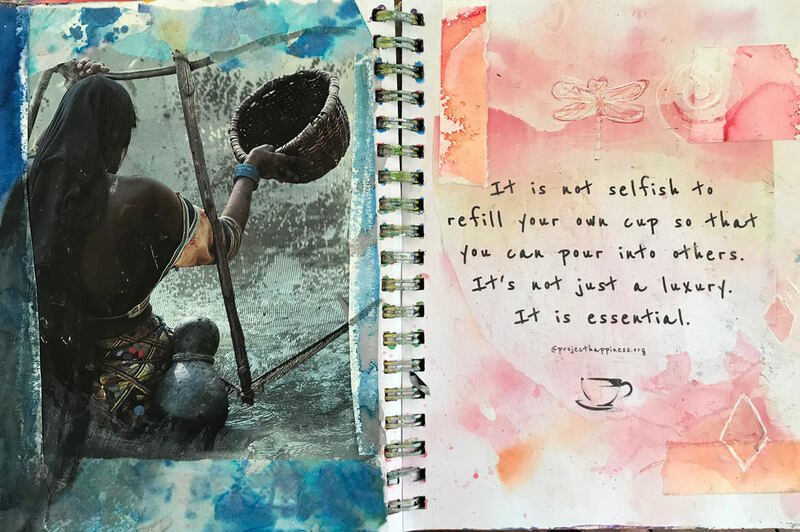 I am presently using my skills combining art and wellness to create a holistic experience with participants..
so my groups are for self-learning and self-care. I use Mindfulness-Based Art Therapy methods for wellness in an educational settings. I try to create a safe and calming studio space for students to work and play and learn how to simply observe their inner critique but not react to it. As a teaching artist and art therapist, MAAT, I combine wellness and art by researching both art therapy directives along with mindfulness techniques. I have combined those with various artist’s books on painting intuitively to come up with my Intuitive Painting Retreat as well as other workshops. I work with children and adults using art as wellness. I also am an art educator teaching art classes and painting classes. I have after school educational art therapy sessions for students at Casa Montessori School and private art therapy sessions can be held there on some weekends scheduled. Creative Well Art StudioCreative Well Art Studio page for a history of classes and workshops. Fill out contact form below if you want to schedule an appointment.